Morocco is a kingdom where music is constantly in the air. 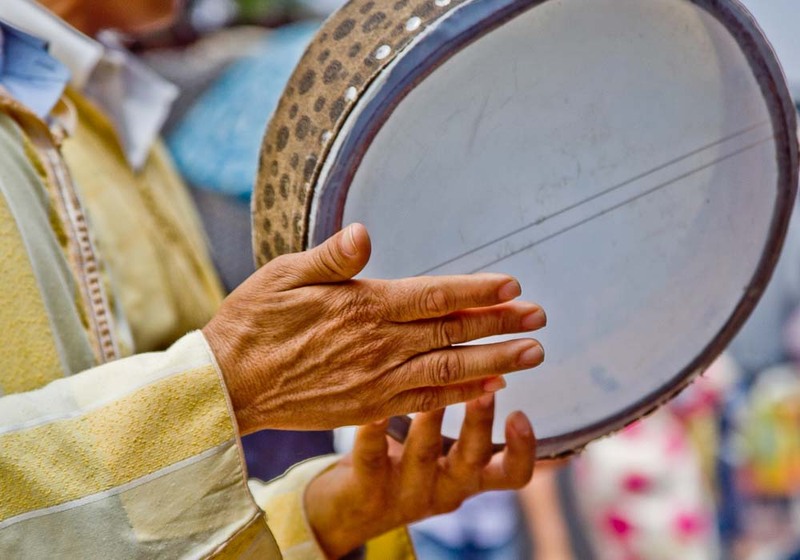 Chaabi music, similar to Western pop music, can always be heard coming from radios in taxis, shops and cafes, and you’ll also hear exotic Gnaoua and classical Arabian music while staying in Morocco. As well as featuring in everyday life, music plays an important part in celebrations and rituals, for example at weddings and funerals. 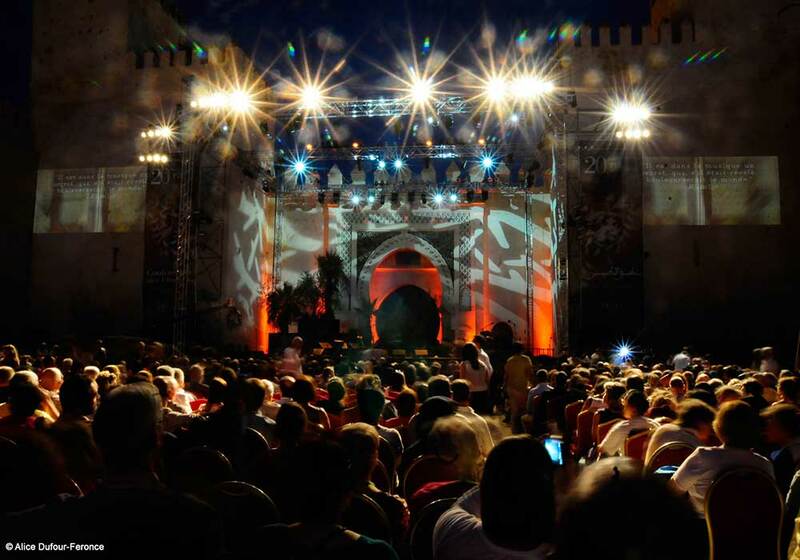 It’s at the festivals where you can experience the best of Moroccan music. These take place throughout the year in the cities and towns, and are spectacular occasions that bring together various musical styles in a celebration of everything that makes Moroccan music special. 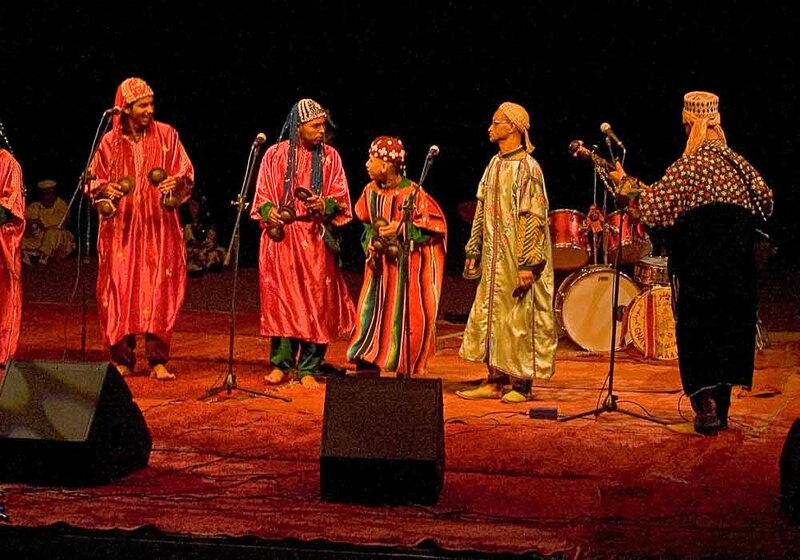 If you love music then you must try and attend Agadir’s Timitar Festival. Every summer, musicians from around the world congregate in the city to create a cultural and musical exchange. 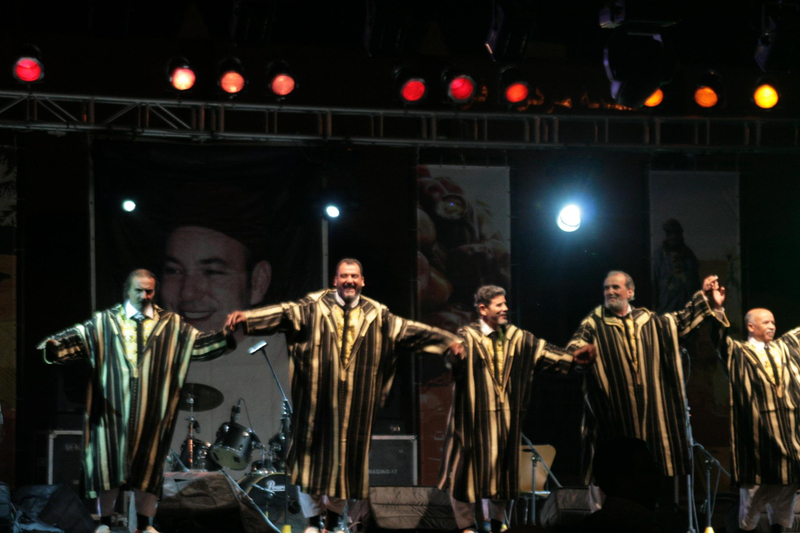 The Timitar festival differs from many others because of its strong focus on Amazigh music, art and dance. Artists performing traditional Amazigh music feature on the same bill as modern Maghreb musicians, and you’ll also be able to hear Gnaoua music at the event. Alongside this core of traditional Moroccan music, you’ll be able to hear rap, jazz, Indian, Spanish and Cuban music, and much more besides. The whole event takes place over three days and three open-air stages and is one of the most popular music festivals in the country. Morocco’s largest city hosts three major music festivals every year. The biggest is simply named Casablanca Festival and is a meeting point for musicians from across the globe. Held annually for three days in July, it’s a celebration with great live music, movie screenings, urban art, dance contests and a host of other delights. Boulevard is an urban music festival, representing the burgeoning underground music scene of Morocco. Hip-hop, electro, rock, metal and fusion beats can be heard through the three days in September, and some of the coolest acts from Morocco and the US perform there. 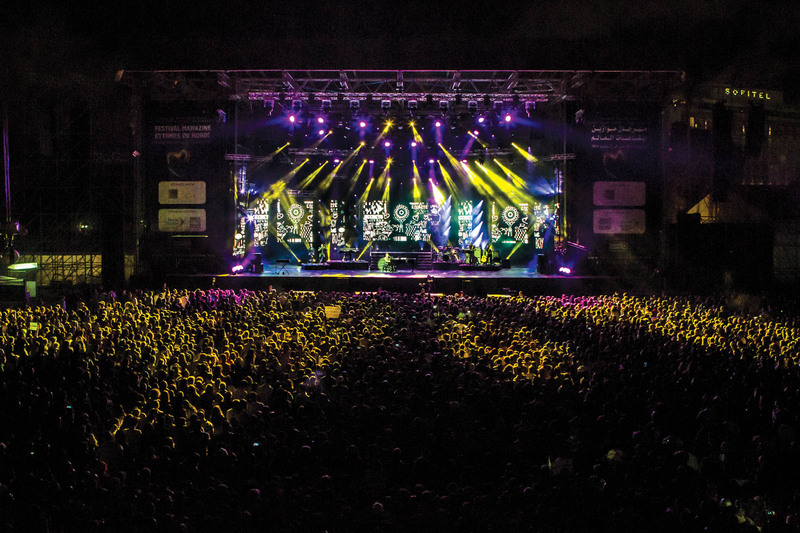 A more laid-back event is Jazzablanca, a jazz and world music festival that attracts both local talent and international names every September. Previous performers have included Joss Stone and Ibrahim Maalouf. The seaside city of Essaouira offers not just one but three great music festivals. Every spring 500,000 people attend the Gnaoua World Music Festival. 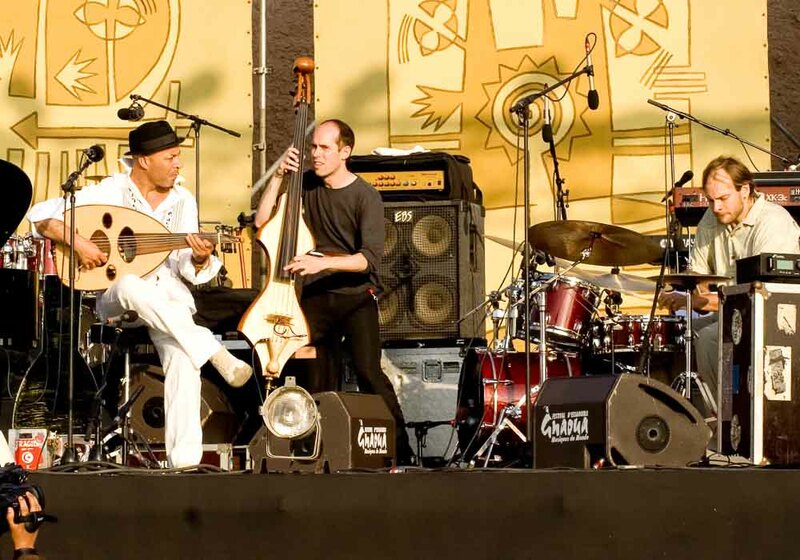 Over the four days of the event Essaouira is filled with the sounds of this traditional style of music which incorporates Berber, African and Islamic spiritual songs and rhythms. 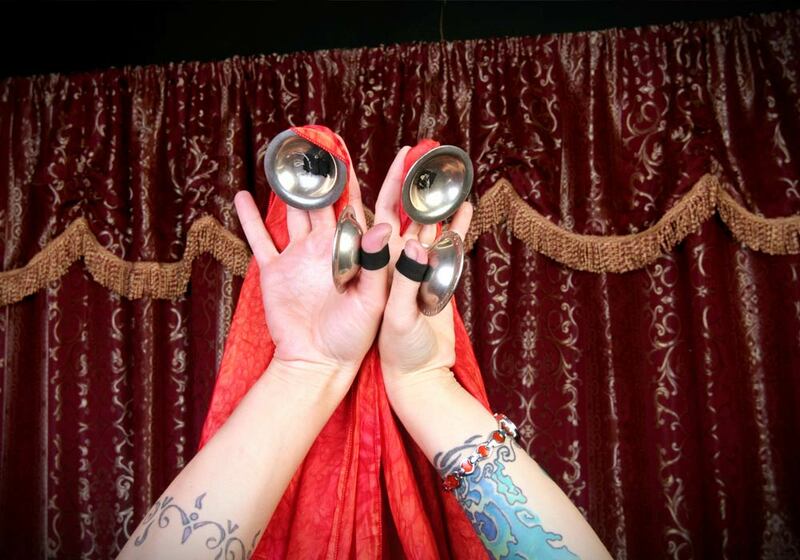 The annual Printemps Musical des Alizes Festival is an event for lovers of the classical genre. Chamber music, symphonies, sonatas and opera fill the air over the course of this four-day festival. Morning performances are reserved for unknown musicians, giving you a chance to discover the next big thing, while later in the day you can see top artists from around the world. 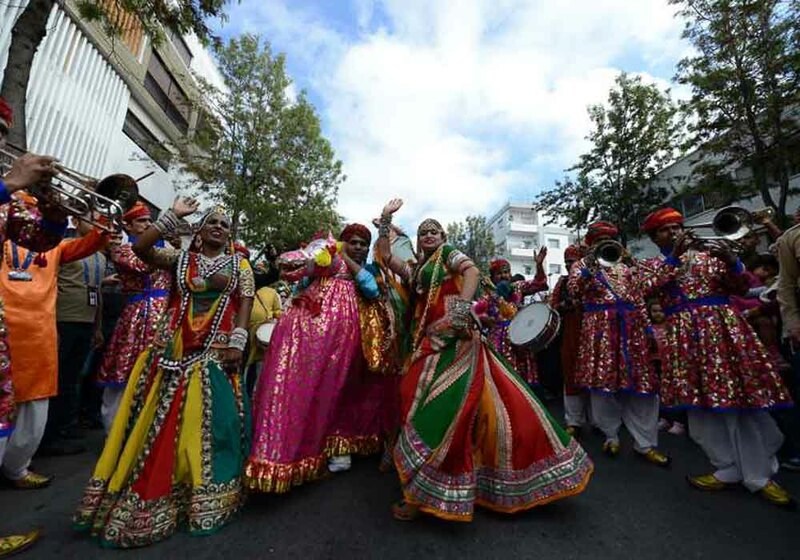 The third festival in Essaouira is the autumnal Atlantic Andalusia Festival, a real Moroccan-Spanish celebration with Mediterranean and Latin American influences thrown into the mix. 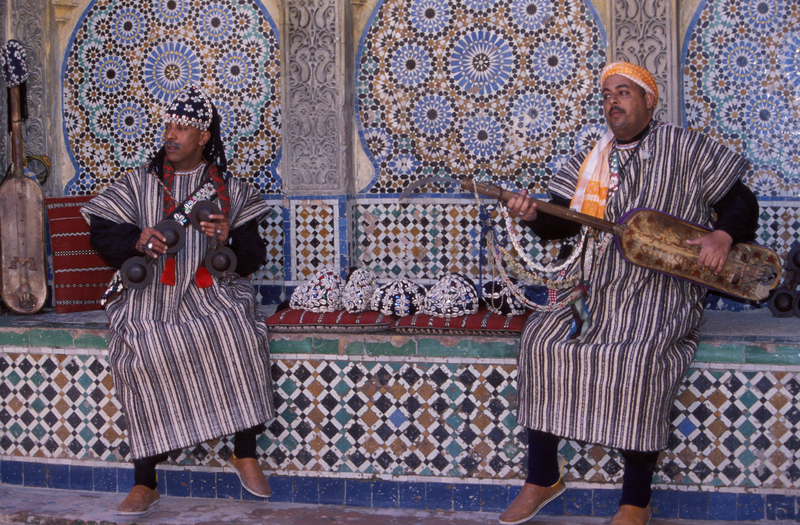 Fez is often called Morocco’s spiritual heart, so it’s fitting that it’s the home of the World Sacred Music Festival. 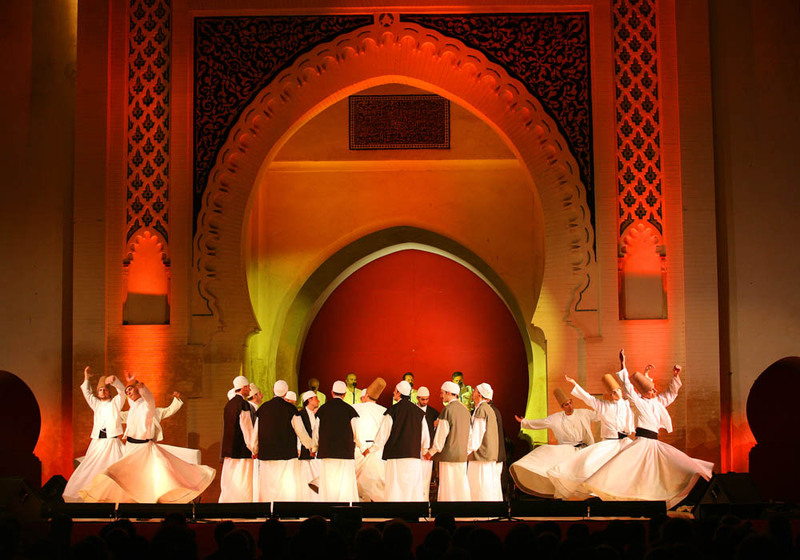 This is one of the world’s most important music festivals and has been recognised for its promotion of diverse cultural and religious dialogue. 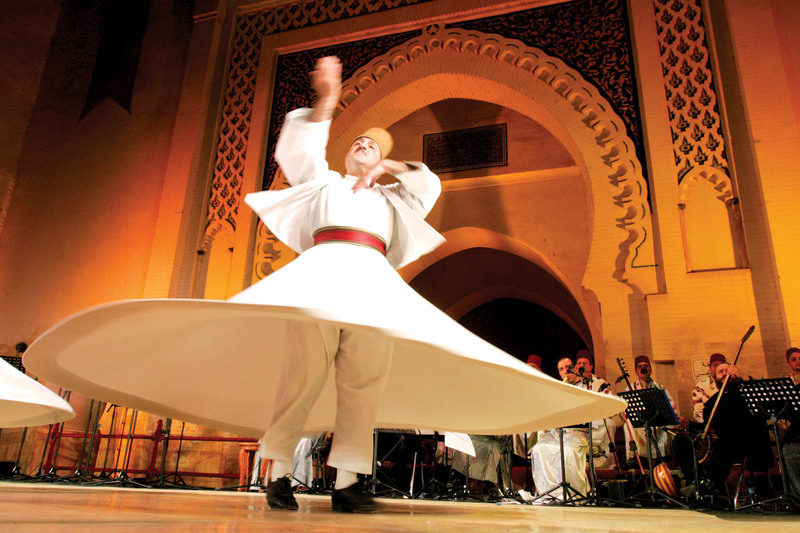 Every May this gathering of musicians, scholars and religious leaders draws together different musical and cultural traditions and blends them in a series of performances, shows, workshops and exhibitions. It has free daily concerts, and the celebrations go on late into the evening. This week-long festival is a must-attend for anyone seeking the spiritual side of Morocco. 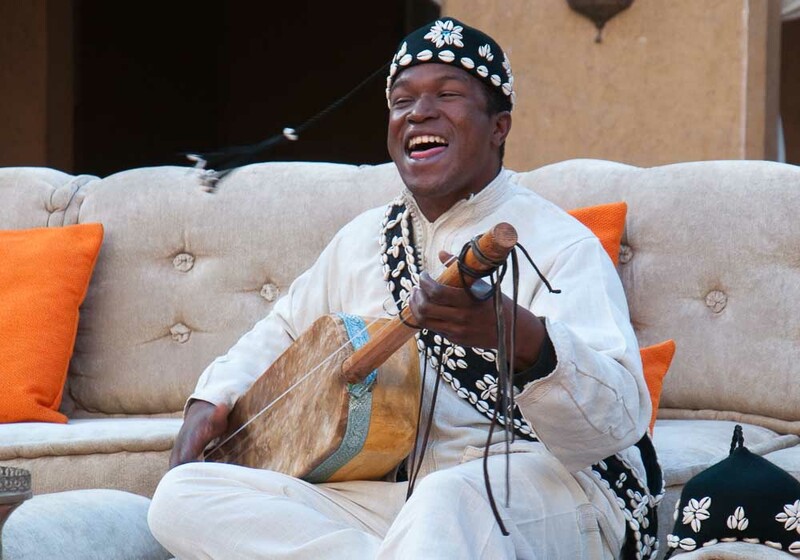 Ouarzazate’s major music festival is a mix of traditional folk music and new interpretations by the best new musicians in the area. 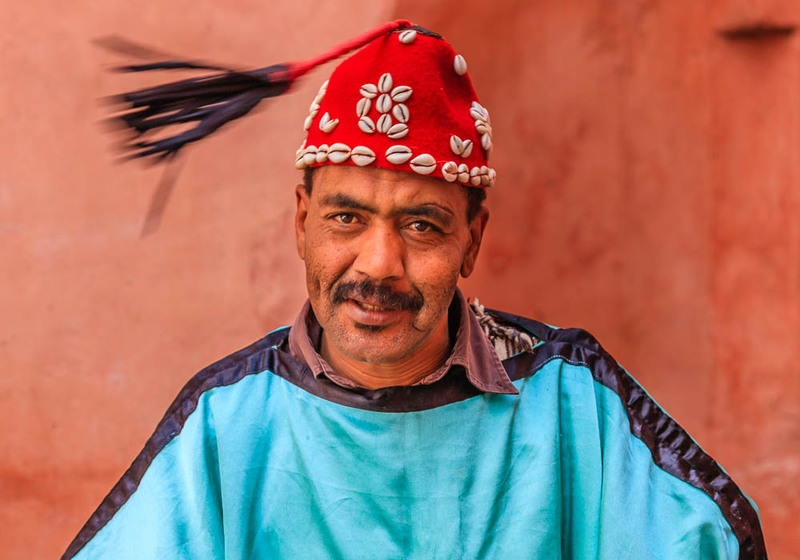 It’s a celebration of Ouarzazate’s heritage including Ahidous music – a traditional Amazigh dance involving flowing circles and pounding rhythms – and Ahwash music which is a significant part of Amazigh culture in this region. A combination of dance, poetry and songs, this evocative music is different amongst every tribe. 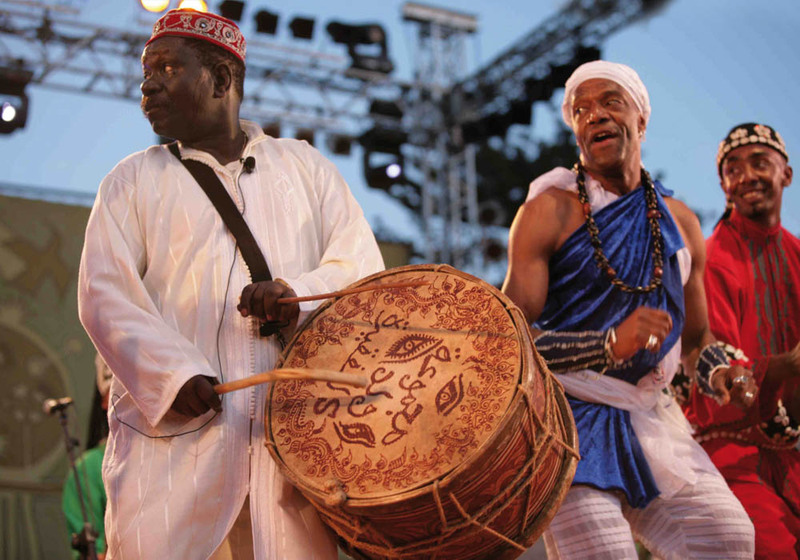 To see this fantastic folk festival, you need to book your visit to Ouarzazate for September. It’s five days of culture that will live long in the memory. Every May Morocco’s capital plays host to one of the biggest music festivals in the world. 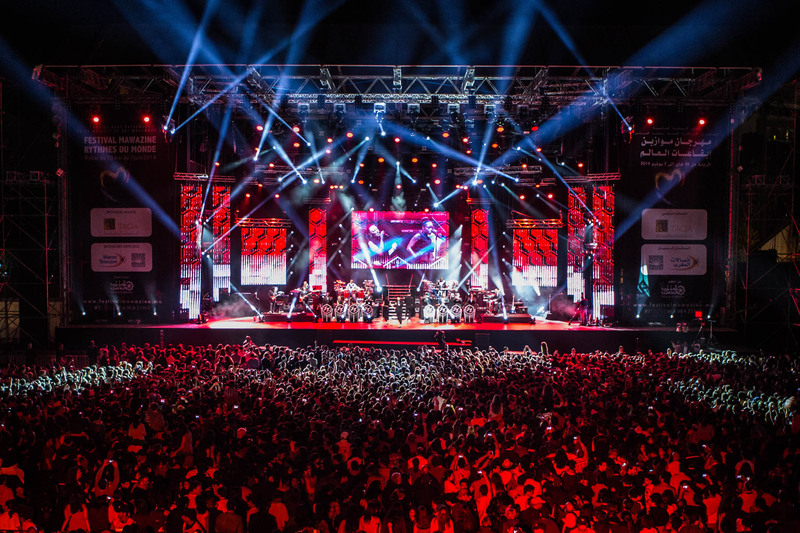 The Mawazine Rhythms of the World Festival lasts for nine days, takes place on seven stages, and was attended by over 2.5 million people in 2014. This massive festival showcases the best African artists around, but also draws in some of the biggest names from the rest of the world – Elton John, Pharrell, Stevie Wonder and Justin Timberlake have all played Mawazine over the past few years. The festival also includes parades and workshops, and the best bit is that 90% of the shows are free to attend! On a slightly smaller scale, but just as enjoyable, is the Chellah Jazz Festival in September. A great event of cultural exchange, it’s a chance for you to enjoy the sights and sounds of top Moroccan and European jazz musicians playing together. Saïdia’s major music festival is called The Reggada Festival. Held every August, it’s a tribute to Reggada. 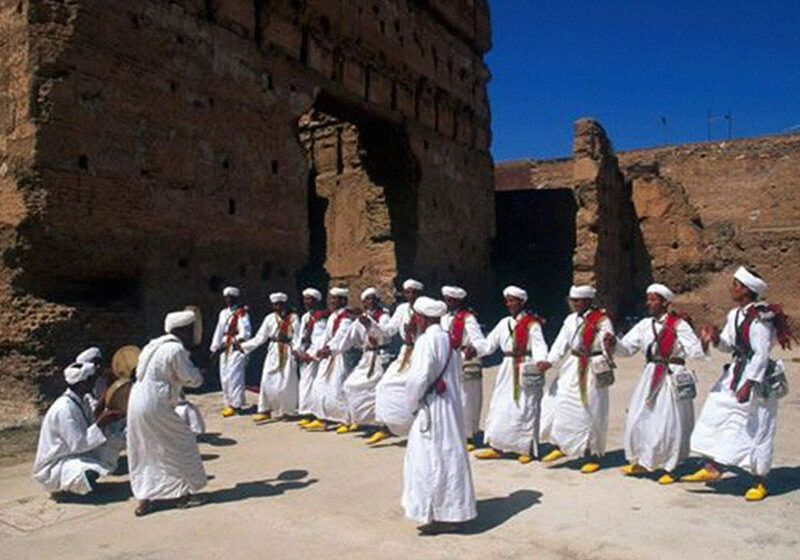 This is a traditional form of tribal music from the area which has been brought up-to-date and is now one of the most popular genres in north Morocco. In nearby Oujda, the International Rai Festival is held every July. It celebrates and promotes the music style Rai that originated in Algeria. Hundreds of thousands of visitors come to see popular Moroccan and Algerian musicians on stage every year. Another festival in Oujda is the Gharnati Music Festival. It’s held every other March and hosts a variety of orchestras and associations. The name refers to an Arab-Andalusian tradition of music. Tangier’s annual jazz festival, Tanjazz, has been drawing top jazz artists from Morocco and all over the world since the turn of the millennium. For four days every September the city is the best place in all of Africa to enjoy world class jazz. Tanjazz is a mix of large open-air shows and performances in more intimate surroundings in keeping with jazz’s traditional roots. Performers come from around the globe to appear at Tanjazz, and some of the genre’s top bands and individuals have appeared here since the event started. With its free spirit and artistic heritage, Tangier is the ideal place to host this event.